After a flurry of festive activities at the end of November, the start of December has felt a bit ‘bah-humbug’ in comparison. We had planned to go to Mottisfont Abbey in Hampshire to see the Christmas Carol family trail, but unforturnely preparations for our move to Devon took over. 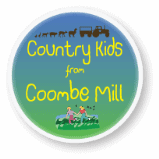 We will get to Mottisfont, so watch this space. 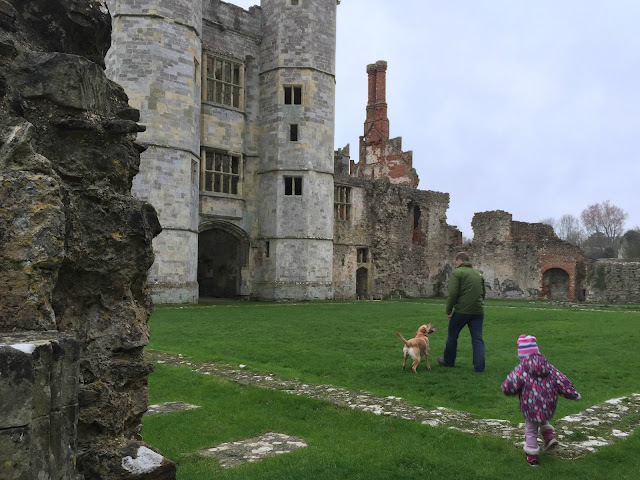 By Sunday of last weekend we really needed to get out of the house so decided to take Tin Box Dog for a walk just down the road at Titchfield Abbey. This 13th Century ruin is an old favourite of mine and features in our top autumn walks in Hampshire. 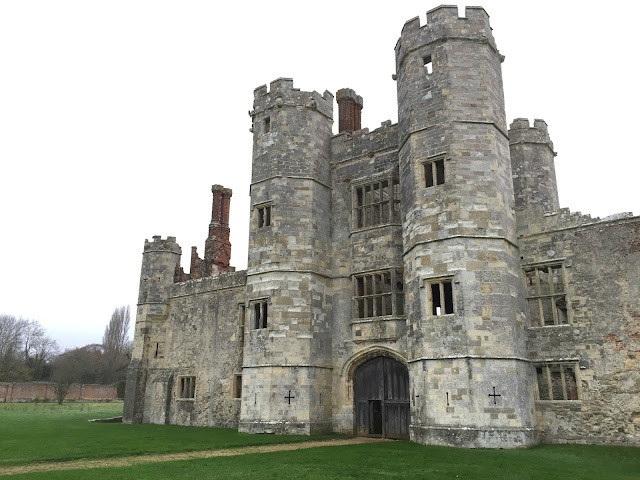 The Abbey was founded in 1231 and three centuries later was closed by Henry VIII as part of his dissolution of Catholic monasteries. The buildings and land were given to Thomas Wriothesley who later became the 1st Earl of Southampton. Wriothesley transformed the Abbey into a mansion called Place House. It attracted royal guests such as Edward VI, Elizabeth I and Charles I, and is thought to have been the venue for some of the first performances of Shakespeare’s plays. In 1781 the great building was mostly demolished for building stone. Some walls of the old abbey are still standing and others have been marked out on the ground following archeological excavations. Tin Box Tot was very excited when we arrived at the ruin and immediately set about finding the King and fairies that must live there. 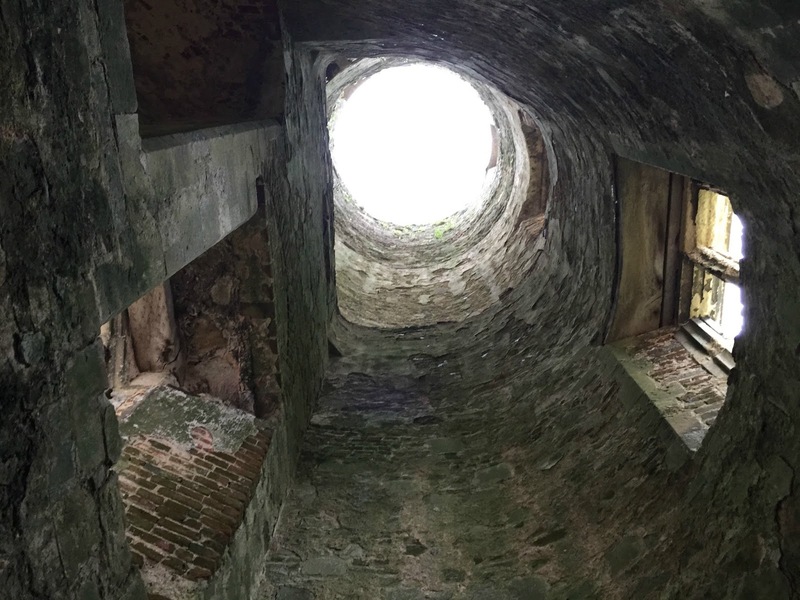 We explored what must have been great halls once-upon-a-time, stood at the bottom of roof-less towers and peered down the ancient well. 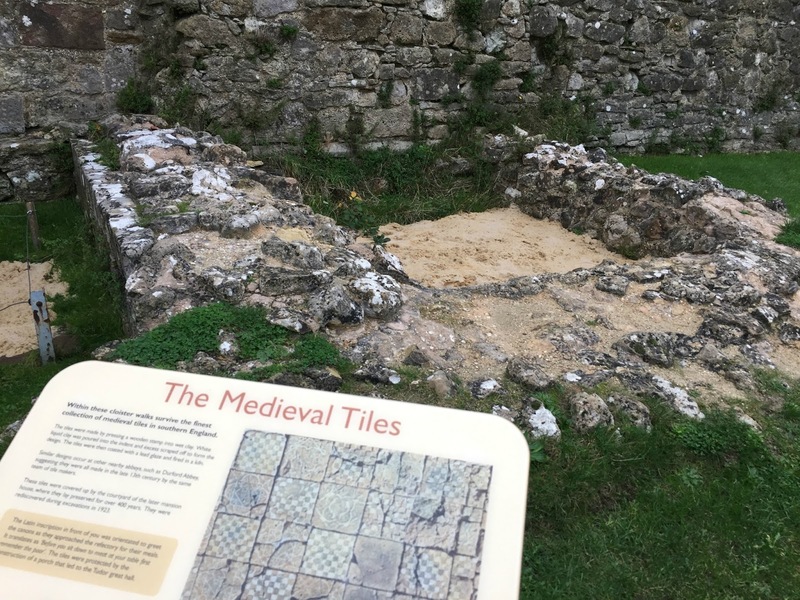 There’s acres of space to run around, and older children and history buffs will be interested in the excavations of medieval tiles. These are covered in sand to protect them from the elements but you can see pictures on the English Heritage narration boards. 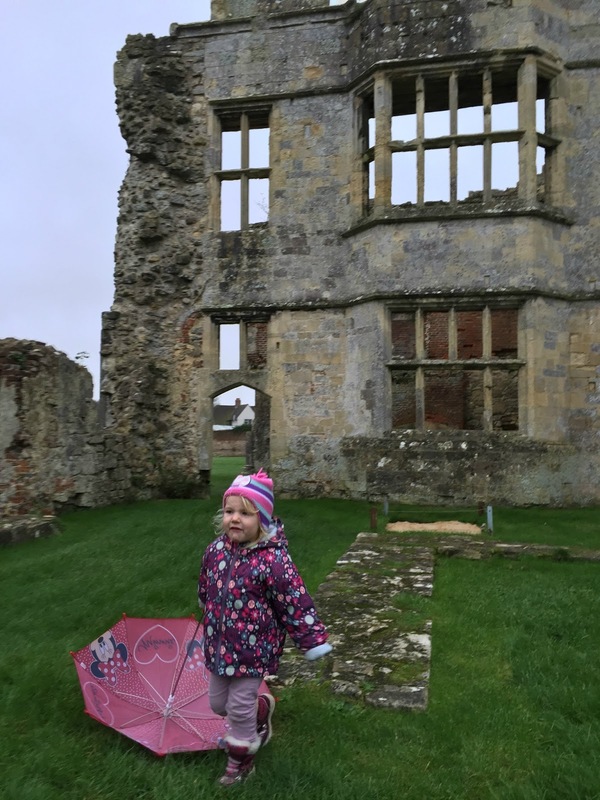 The weather wasn’t particularly nice during our visit and TBT’s all-in-one waterproof had been left at nursery so we didn’t linger too long. Just long enough to wear out Tin Box Dog. I also managed to get Mr TB and the girls to pose for a quick photo – it’s not often they stand still for me. 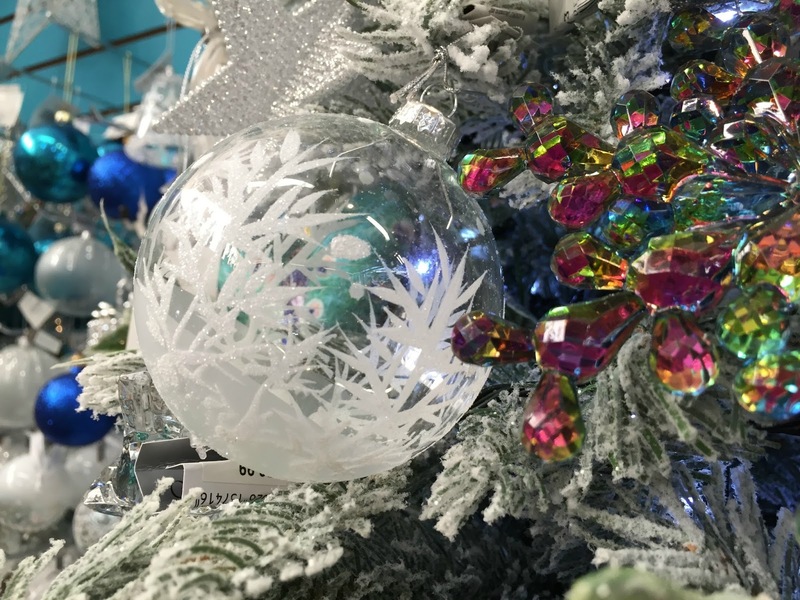 As we’d missed out on any Christmas activities over the weekend, we decided to take a quick detour on the way home to Garsons – a great little garden centre just down the road from the Abbey. 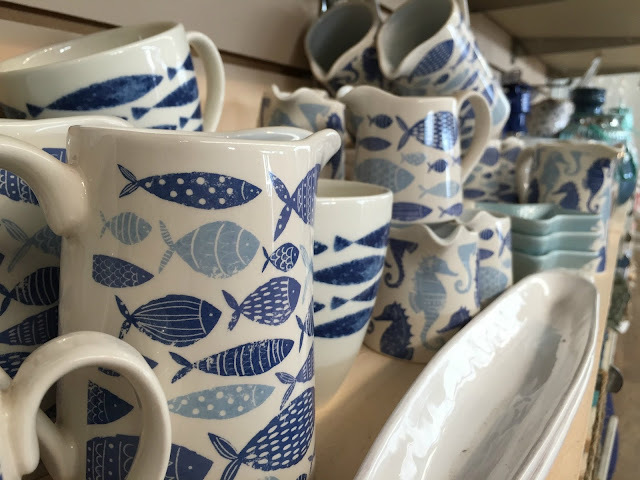 It has a fantastic range of gifts, a lovely cafe and, at Christmas, reindeer. We took TBT here to meet her first reindeer when she was 10-months-old. This time we were able to share the experience of meeting these beautiful animals with both our girls. Gersons’s reindeer handlers were on hand to tell the steady stream of families all about them and distribute small portions of food so we could feed them through the fence. It’s the most keen I’ve seen TBT on touching animals. The reindeer were only too happy to come and say hello in return for a few food pellets. Titchfield Abbey is free to visit all year round. 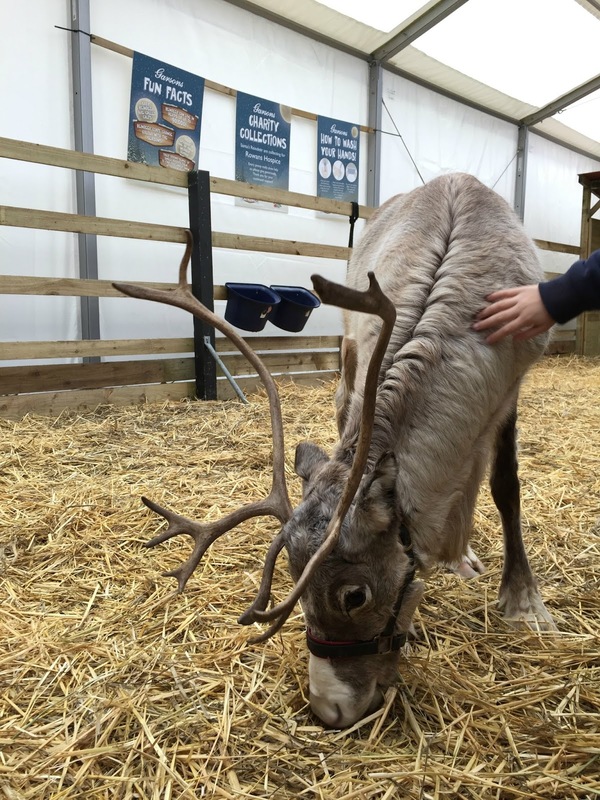 The reindeer are at Garsons until 24 December. Wow what great pictures and sounds like an amazing day! I would love to explore those ruins…so much history!!! Glad I found you at Country Kids link-up. Fantastic spot, it really looks like a great day out. 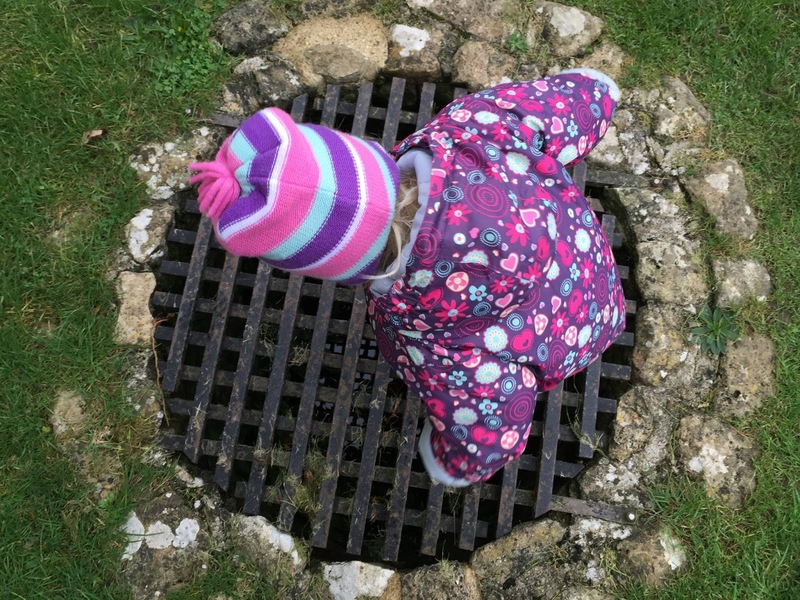 So much history, and so much running & climbing for my 4 year old – perfect! We will have to try to get there next time we're in Hampshire. I love visiting ruins! 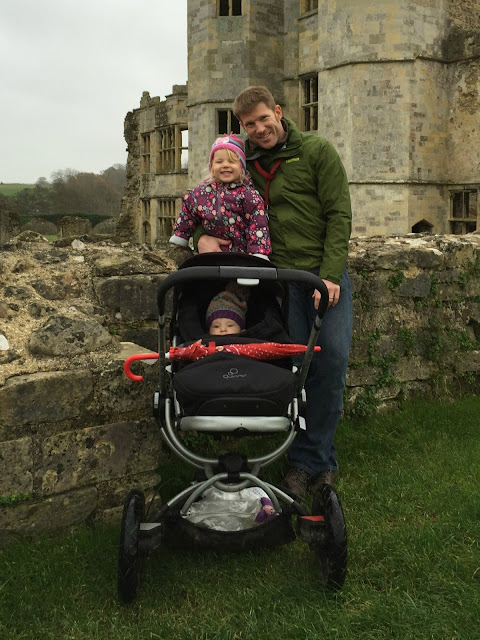 The abbey looks quite magnificent and it's great to fire up little ones imaginations with who used to live there. A beautiful photo of your little family too, I find it hard to get any of those ones too, they never want to stay still! Good luck with your move, hope it all goes to plan and you get the new house sorted quickly. 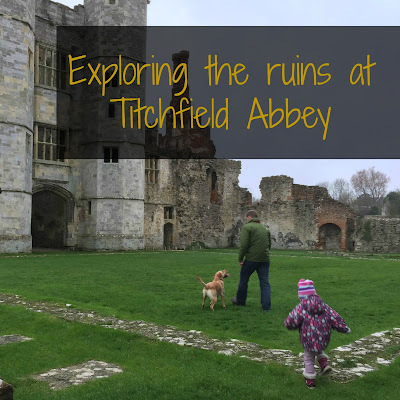 Just our type of place to visit, my son loves rambling around ruins and I love the history of it. Garden centres are wonderful at this time of year, how lucky to see the reindeer.